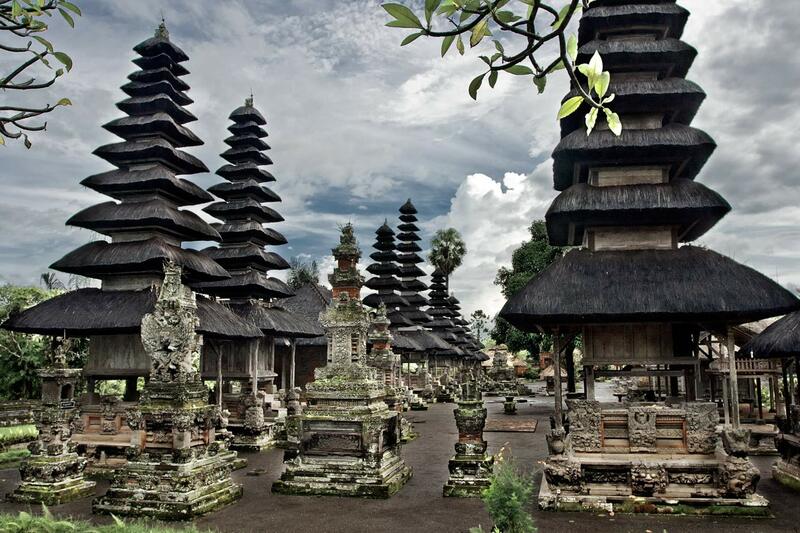 Taman Ayun Temple at Bali - Indonesia The temple served as the family temple of the Mengwi dynasty, whose kingdom survived until the late 1800s. The temple is famous for its exquisite wooden merus, or pagoda-like shrines. The name itself means beautiful garden. It is built on a high tableland which is surrounded by ponds. This gives the effect from afar that the temple is floating on water. In the central grounds is a building called the 'bale pelik' with beautiful carvings with interesting reliefs and statues of the nine gods, Dewa Nawa Sanga.